My friend had posted on Instagram a picture of a small goodie bag with make up in it! I was curious and asked her what it was and she told me it was called Ipsy and you sign up and they send you a bag of 4-6 make up goodies that can come in sample size or normal size! So of course being a make up lover and I'm always wanting to try out different brands so every month they will send me make up for $15.00 a month which isn't bad at all, U.S. is $10.00 but I'm in Canada and that's always more expensive! So she sent me a link that says when I sign up I was referred by her, and I signed up.When you do they ask you a few questions, like what brands you like, what kind of make up you like, and a bunch of other things like that so that they can narrow down what you might like in your goodie bag! 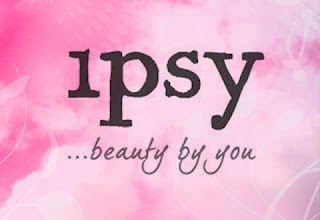 So my referral link is http://www.ipsy.com/?refer=u-hi253xt1ol1h1p7k and it would be SUPER awesome if you clicked it and signed up! You can even just sign up and not sign up for the goodie bag. I haven't explored it much yet but there's a community and contests you can do! There's lots to explore and see and you get a present from yourself every month! So yeah, you guys should definitely check it out because I am super excited about it and I have high expectations about it!